Anton Anderssen of Warren is a walking advertisement for diversity. You can see it in his soap. Anderssen, 37, claims a heritage that includes Cherokee, English and Swedish roots. Armed with a law degree, limitless curiosity and the skill to turn every new interest into a vocation, he teaches classes in topics that include Eskimo for travelers, small-claims court, country music queen Reba McIntyre and, yes, diversity in the workplace. That doesn't even begin to cover the subjects he teaches in adult education classes at 10 school districts and Oakland Community College. His list of courses in Warren Consolidated Schools alone covers two pages in the latest catalogue. But these days, he's concentrating on his homemade soap. "What you buy in the store isn't soap; it's detergent. It's full of petroleum products," Anderssen said. "Real soap is a luxury item." He has never sold his soap before, adapting a lesson from the Amish communities he came across in his native Indiana by giving his soap to rescue missions and other shelters. That will change, however: His soaps will soon be stocked in the gift shop at Indian World in Redford Township. Though an official member of the Cherokee Confederacy, a governmentally recognized tribe, he acknowledged: "I can't say I grew up feeling Indian." 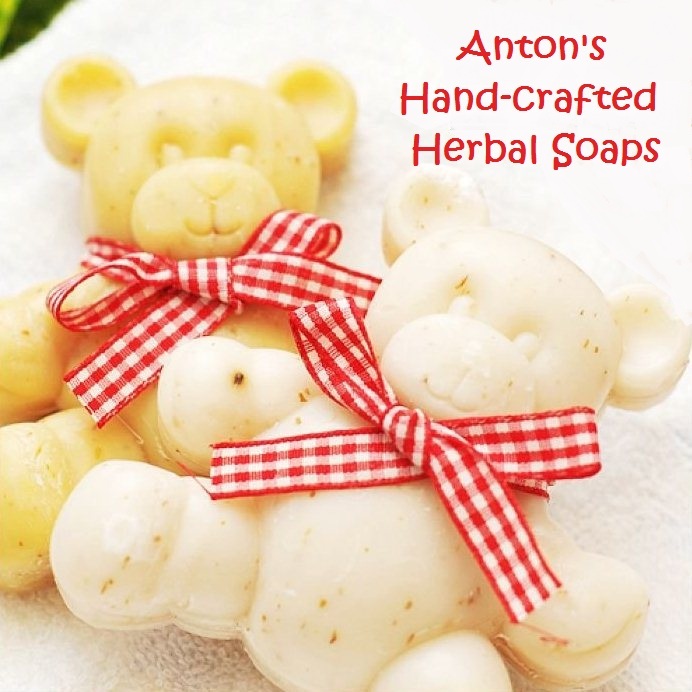 Anderssen learned soap-making skills early from his Cherokee grandmother. "If you can make butterscotch pudding, you can make soap," he explained. He lived with the grandmother for a year and picked other Native American lore. Fearful that the Cherokee language was dying out in his generation, Anderssen learned to speak it and now teaches a class in it. 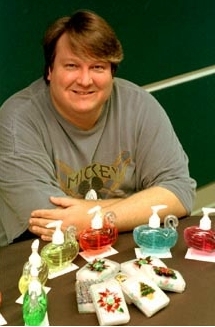 In his soap class, he goes over the rudimentary process for turning fat and lye into a luxury item, but mostly he focuses on teaching others how to market and sell what they make. Anderssen is a master at marketing his varied skills, too. He has recently cut a mini-CD of his piano playing and plans to offer a course soon on how to make it in the music business. His style of playing is something of an enigma to categorize, especially since he is self-taught and can't read music. After searching for a few puzzled moments to describe how he plays, his eyes light up and he exclaims: "Candlelight piano! That's what I play."